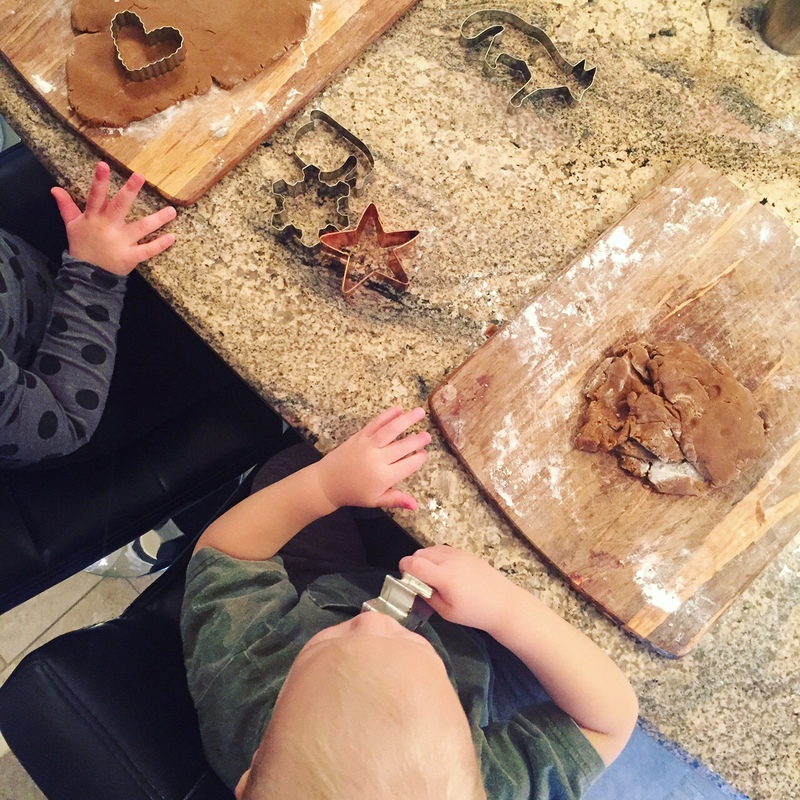 I just had to re-post this gingerbread recipe from two years ago (plus my babies two years ago making them) We’ll be making these again tomorrow on our PD day! 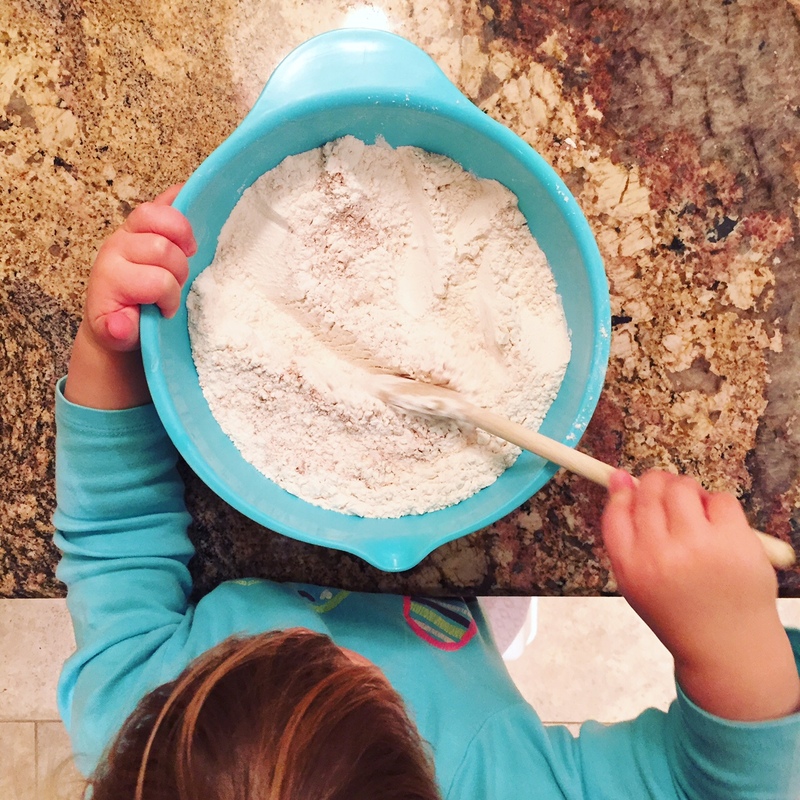 Whisk together flour, baking soda, baking powder, spices and salt in a large bowl and set aside. Beat butter and brown sugar together in a large bowl with an electric mixer until fluffy. Mix in eggs and molasses. Add flour mixture, mixing on low until just combined. Divide dough into thirds and wrap each in plastic. Refrigerate until cold and firm, about one hour or up to two days. Preheat oven to 350 degrees. Roll out dough on a lightly floured work surface to a 1/4-inch thick. 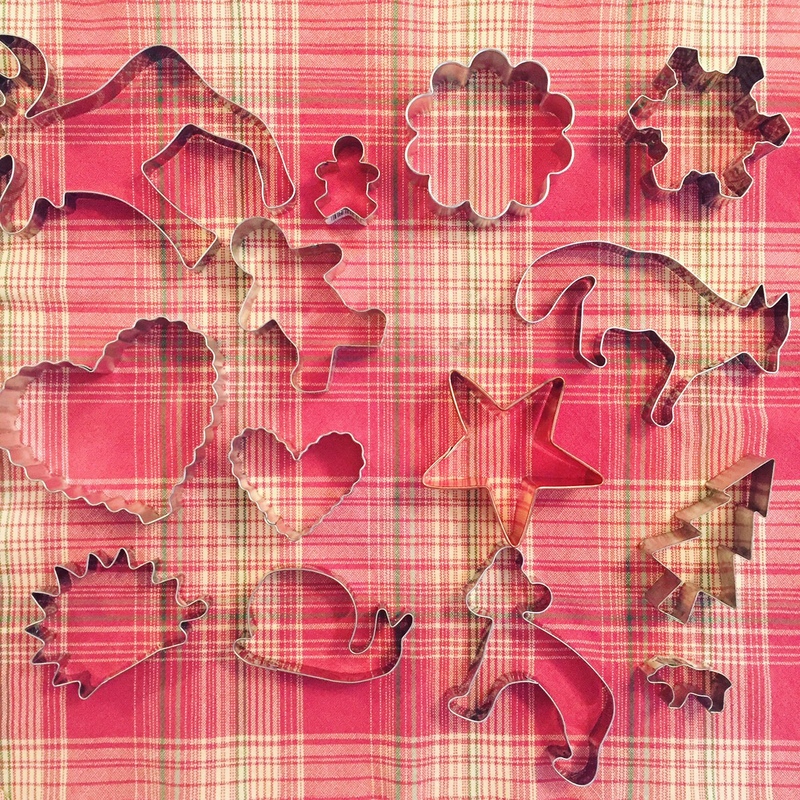 Cut into shapes of your choice, such as snowflakes* or gingerbread men. 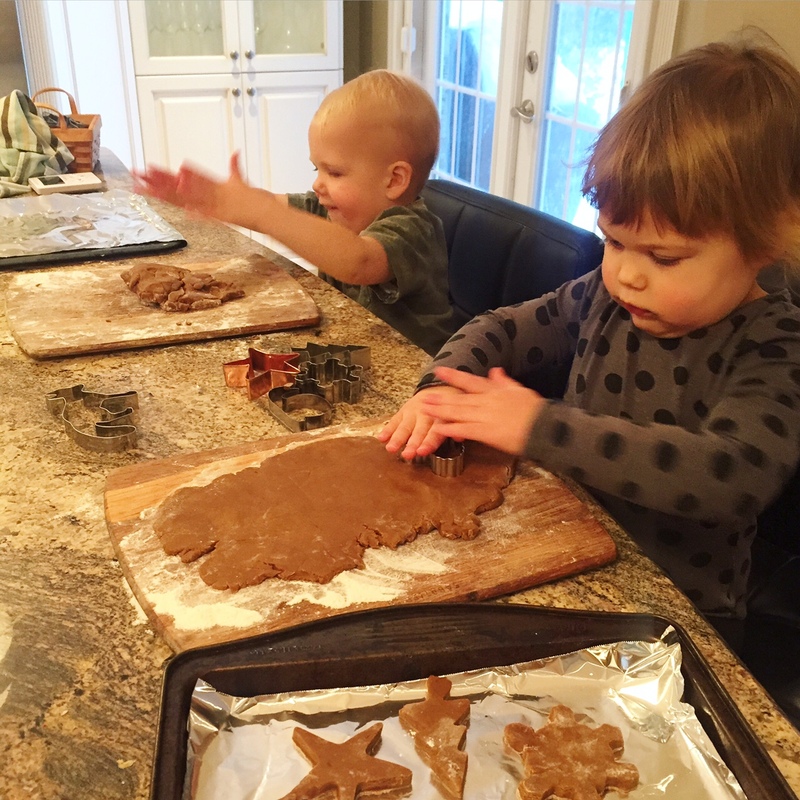 Spread two inches apart on baking sheets lined with parchment paper, and refrigerate until the cookies firm up again, about 15 minutes. Bake cookies until crisp but not dark, 12 to 14 minutes. Let cool on sheets on wire racks. 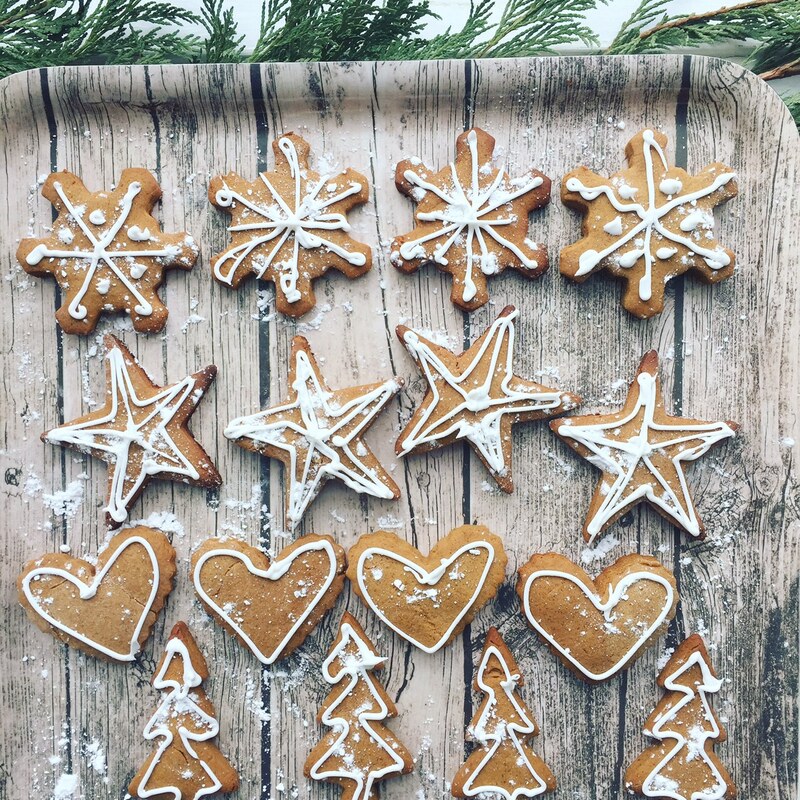 When cool, you can decorate the cookies with icing and sprinkles. When you pipe designs, sprinkle the icing with sanding sugar and let it sit for five minutes before tapping off the excess sugar. Then let the icing set completely at room temperature, which will take an hour or so, depending on how thick it is. 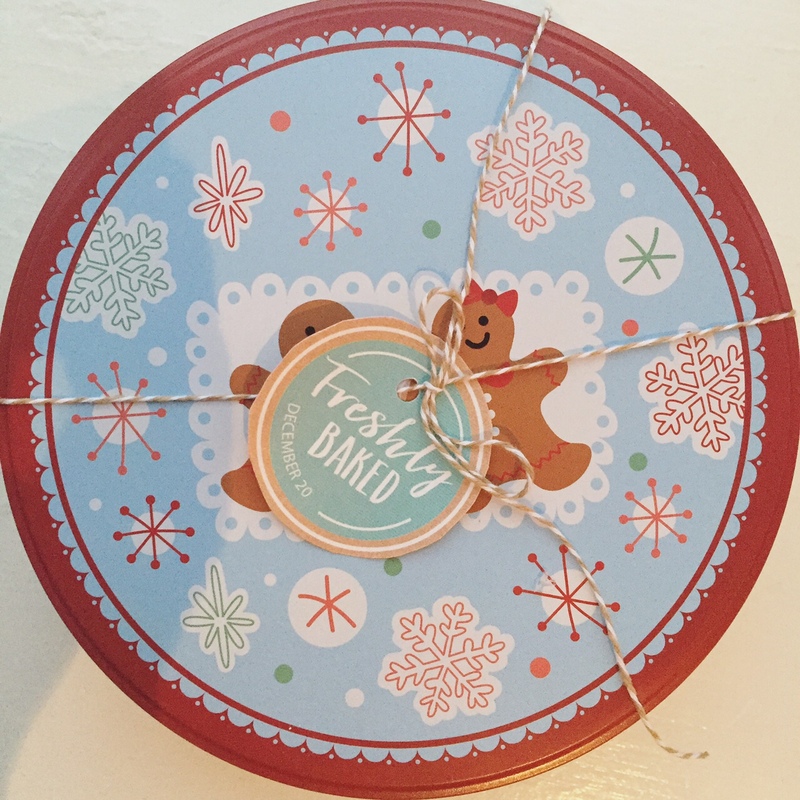 Store cookies between layers of parchment or waxed paper in an airtight container for up to a week. 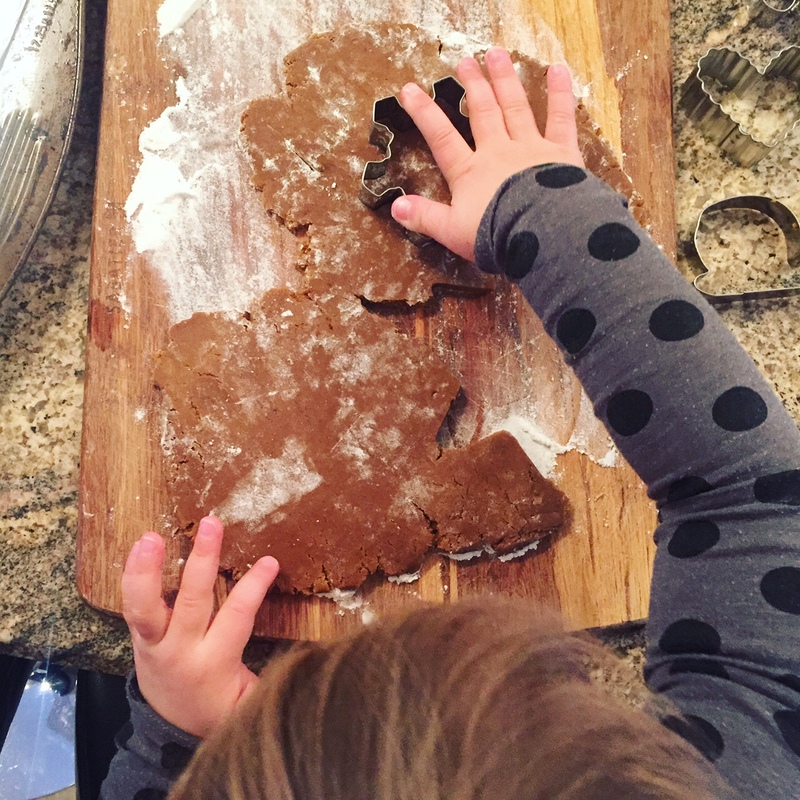 Sadie loved making cookies! She could do everything herself. 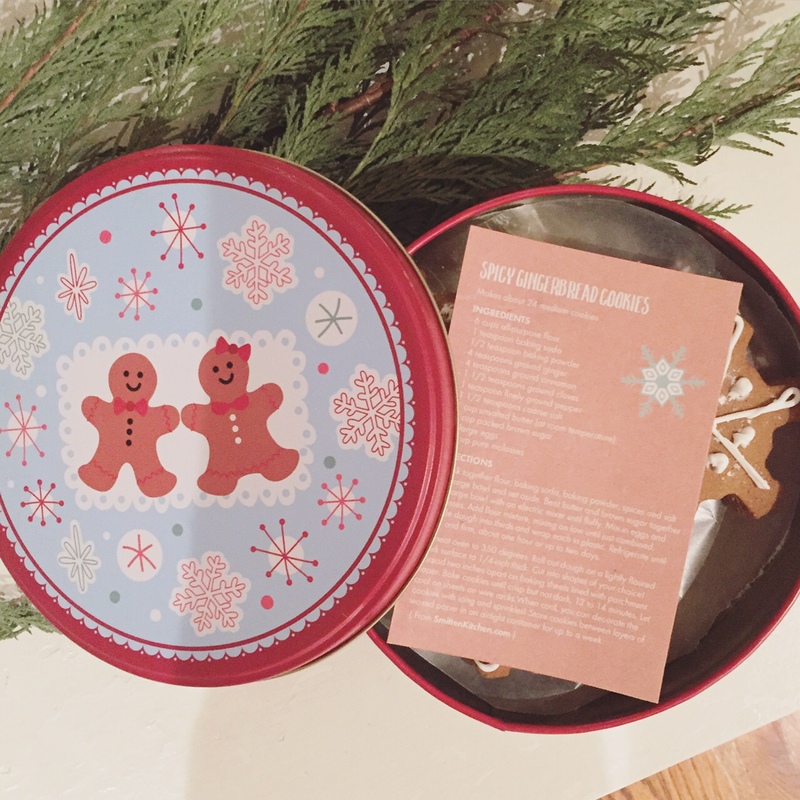 We gave away these cute tins to Sadie’s teachers, along with the recipe. 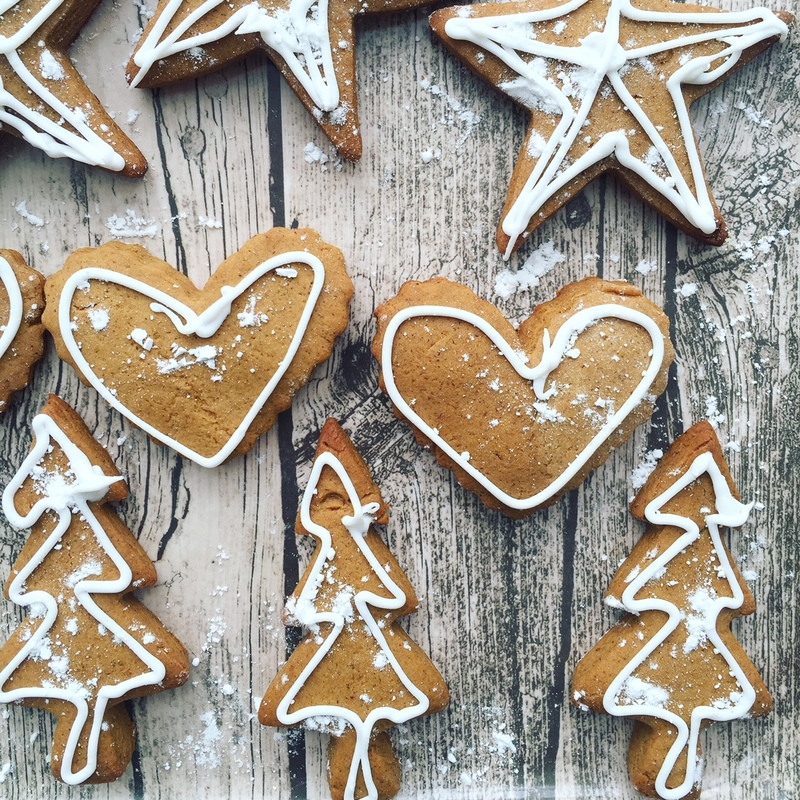 I love gingerbread with a little bite..yum! 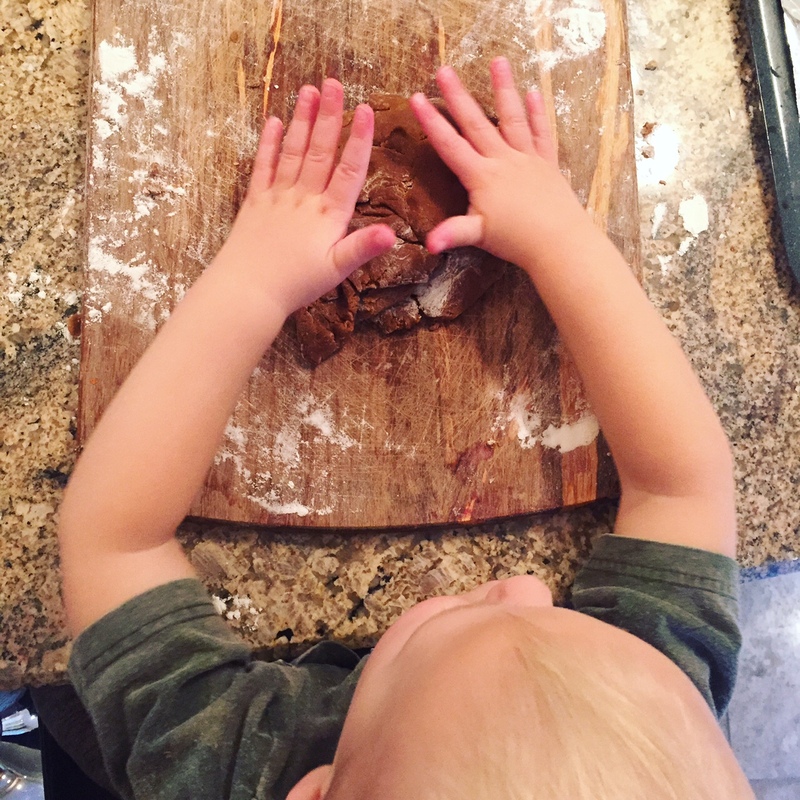 Great photos…your littles hands are so sweet! Thank you so much for visiting! I’m Laura, owner and brand stylist of W&G.